Copperworks Distilling Co. scored a major award in the distilling world, but it was not for single malt, which this Seattle company is known for. Seattle’s Copperworks Distilling Co. may be about the whiskey, but some connoisseurs think those guys make an even better gin. 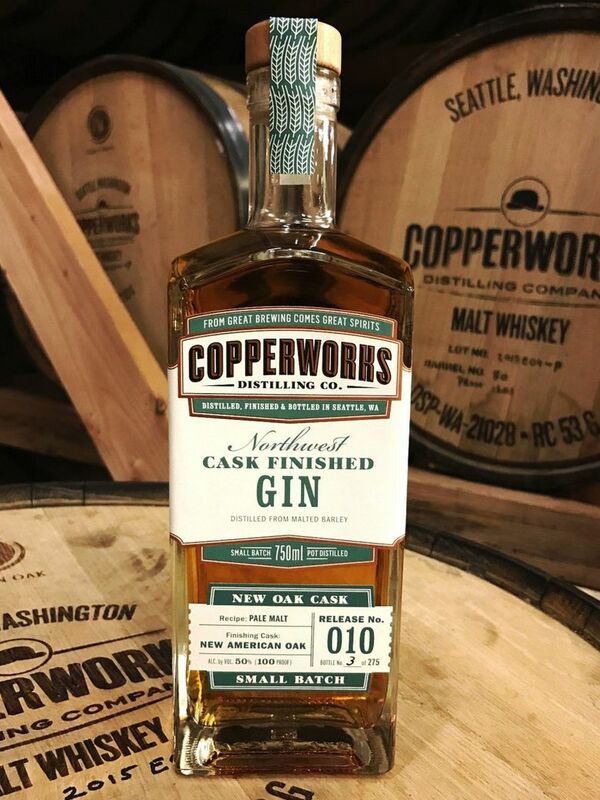 In one of the distilling’s highest honors, Copperworks’ Cask Finished Gin was named the “best barrel-aged gin” at the San Francisco World Spirits Competition. These spirits awards — results will officially be announced on May 15 — are coveted by both the big wigs who make bourbon in Kentucky and the craft industry. Parker and his business partner/distiller Micah Nutt are brewers who decided to become whiskey makers. The aged gin was made, partly, because they had barrels lying around from their whiskey production. The malted-barley gin that won the big prize (Cask Finished Gin, $44.95, 100 proof) sat in charred new American Oak barrels for three months at their warehouse near the downtown waterfront. It ages in the same kind of barrels Copperworks uses for its signature single malts. Even before this big honor, Parker was preaching that his gin is a great cocktail mixer, especially to make a distictive Sazerac, because the gin has whiskey notes the oak barrels and its botanicals add a layer of complexity.